Your wedding vocalist, a versatile international singer, with a timeless smooth original vocal sound, a voice like velvet… leaving you with an unforgettable experience on your wedding day. She performs as a soloist, a duo, or in a full band set up. Her repertoire is vast and original, singing from Jazz, Soul Classics, to Commercial Dance House. 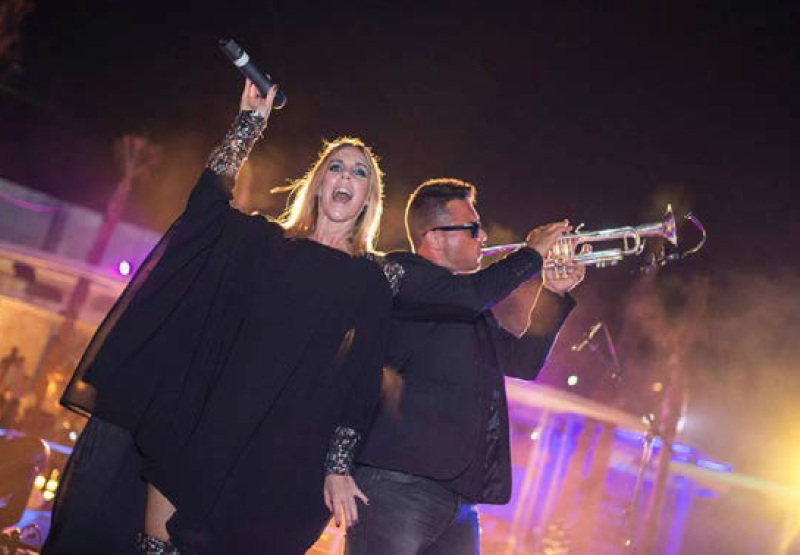 Nikki Beach, Ocean Club and Puente Romano Hotel, are amongst her regular clientele for high profile weddings. Performing worldwide with the likes of Kylie Minogue, Groove Armada and Claptone, her corporate clients include, Capital Radio London, Nike UK Music Festival, Claudia Schiffer, Fashion TV and many more. Georgie will create a unique day and night, just for you on your special day. Georgie O’Neill, the songbird, lets play the music and dance! THE CEREMONY, THE COCKTAIL HOUR, THE DINNER AND THE PARTY... MUSIC FOR EVERY STAGE OF YOUR DAY Three bespoke love Songs of your choice, arranged and performed beautifully, for your ceremony. During the cocktail hour, a selection of groovy, jazzy, love songs, will flow with you and your guests. The Dinner set consists of two hours of elegant, heart enriching music, enhancing the mood of the night, with soul and uplifting well known songs, building up the momentum, getting you ready to dance. Lets not forget your first dance song, the climax of the night! Lets rock the place together! Two hours of full on hits and party stompers!